Tarps can be a god-send for a multitude of reasons! From household, to yard, to sports and recreation, there are tarps to suit every need in every price range. One of the most common uses for tarps is for camping. Whether you are using a tiny pup tent or you are taking your entire family to a national park for a few weeks, don't forget to bring tarps. The proper sized ones, in the right material, can save you from heavy rains and be used as emergency cover in many situations. The boating industry uses tarps when smaller boats are put into dry storage in the off season Depending on where and how you choose to store your boat, these can be simply draped over the top of the boat and secured with ropes, or the entire boat can actually be "shrink wrapped" in a thin plastic type material that has some stretch in it. This type of tarp completely seals the boat and protects it from dirt, moisture, rodents, and insects. Choosing this type of tarp for your boat storage needs will usually be more expensive simply because this type of material can only be used once. For anyone with a fireplace, using one to cover their supply of chopped wood, is common. A simple vinyl piece that is securely wrapped around the wood pile, and secured to another that is laid on the surface under the entire wood pile, will usually protect the wood well enough to prevent it from becoming thoroughly soaked during a rain or snow storm. Gardening enthusiasts frequently used light weight versions to cover pushes, plants, delicate fruit trees, and even newly laid sod, in the event of an unseasonable frost or in geographical areas where hurricanes are common. 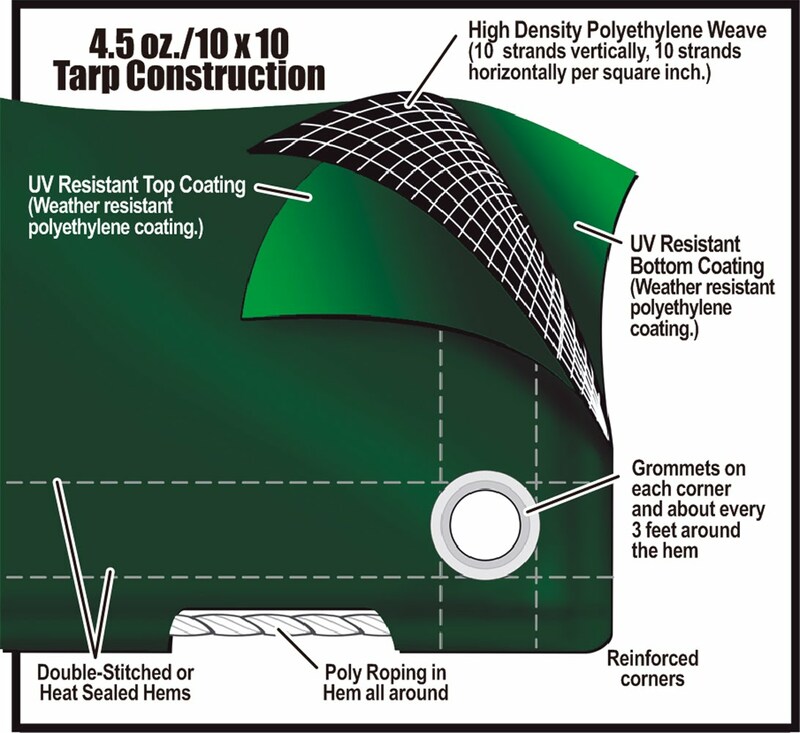 All types of tarps can be easily found at sporting goods stores and large mass retailers. Wow, lots of tarps to choose from!